Also serving communities of Spring Hill, Columbia. There are 16 Memory Care Facilities in the Franklin area, with 5 in Franklin and 11 nearby. The average cost of memory care in Franklin is $5,160 per month. This is higher than the national median of $4,650. Cheaper nearby regions include Brentwood with an average starting cost of $5,090. To help you with your search, browse the 6 reviews below for memory care facilities in Franklin. Better rated regions include Brentwood with an average rating of 4.0 out of 5 stars. Franklin, Tennessee, is a charming historic village with 62,000 residents, including 6,305 seniors. As the population ages, Alzheimer's disease and various forms of dementia have affected a growing number of Tennesseans. About 110,000 of the state's residents suffer from the disease, according to Alzheimer's Tennessee. Families in Williamson County and Franklin can choose from 35 qualified facilities to care for their loved ones who require round-the-clock supervision. 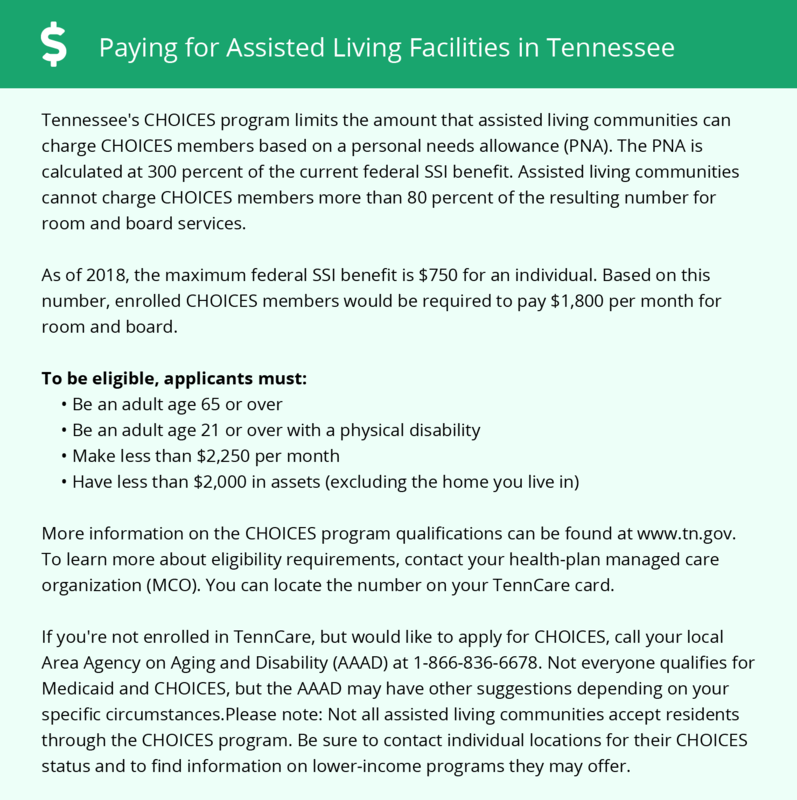 The Tennessee Department of Health's Board for Licensing Health Care Facilities currently allows assisted care living facilities and residential homes for the aged to admit adults with dementia and Alzheimer's in all but the last stages of the disease. Before admission, facilities must complete a comprehensive intake screening to ensure that they can adequately meet the resident's needs. Franklin is located in an affluent area in the state's wealthiest county. Consequently, the cost of living is noticeably higher than neighboring areas. Residents spend 46 percent more on essential living expenses compared to the national average. Health care expenses are 7 percent higher than the U.S. average, but they're 15 percent lower than the average for Tennessee. Seniors enjoy a strong sense of security due to Franklin's low crime rate. The community has a violent crime index of 13 compared to the national average of 31. Property crimes are also lower, with a local score of 26 compared to 38 nationally. Additionally, memory care facilities have numerous safeguards in place to protect residents who might become confused or disoriented at times. Tennessee has attractive tax policies for retirees. There's no tax on individual income, so seniors can keep more of their IRA and 401(k) distributions and their Social Security benefits and pension payments. These favorable tax policies offset the higher cost of living and help residents manage necessary medical expenses better. The Franklin area is home to several first-class medical facilities, including those specializing in brain health and dementia care, such as Saint Thomas Medical Partners – Neurology – Franklin, the Brain and Nerve Neurology, Advanced Neurosciences Institute and the Vanderbilt Memory & Alzheimer's Center. Williamson Medical Center is also nearby in the event of medical emergencies or illness. Memory Care costs in Franklin start around $5,160 per month on average, while the nationwide average cost of memory care is $4,799 per month. To see a list of free memory care resources in Franklin, please visit our Assisted Living in Tennessee page. Franklin-area assisted living communities must adhere to the comprehensive set of state laws and regulations that all assisted living communities in Tennessee are required to follow. Visit our Memory Care in Tennessee page for more information about these laws.